Rushing through the morning preparations, we found the breakfast ready in the assembly hall with yarn-bombed wooden pillars. From the first sight it looked rather OK, taking a closer look revealed some cold mash of supposedly potato and another bowl with strange looking eggplant. Needless to say we didn’t dare touch any of it, having just recovered from Michelin tummy adventures. Leaving the retirement home, we spent much of the day getting across Romania. After yesterday’s adventures on the roads less travelled, we made a point of sticking to the big, shiny highways all the way, and by doing so ensuring a much smoother ride. After yesterday’s non-existing roads, this shiny asphalt is such a welcome sight! 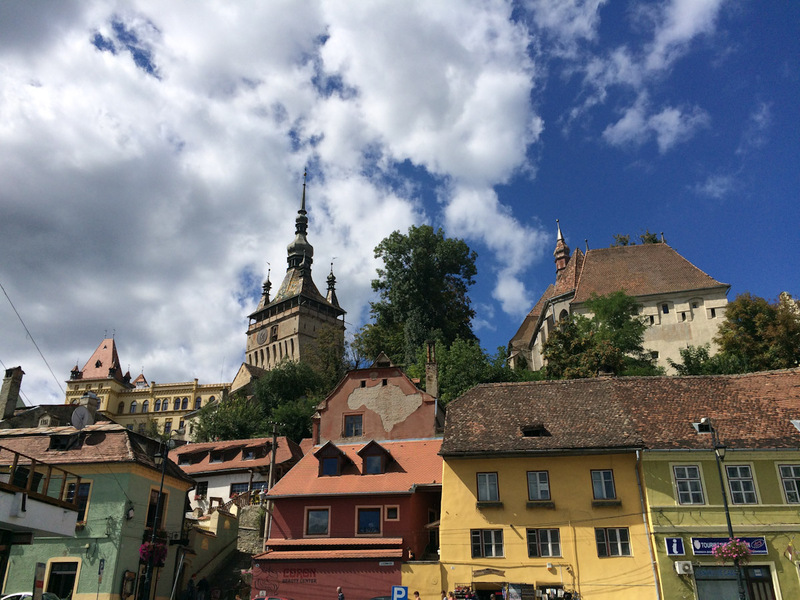 On the way to our destination of the day, Mioveni, Andreas’ eagle eyes spotted a UNESCO city, Sighisoara, and we stopped there for lunch. 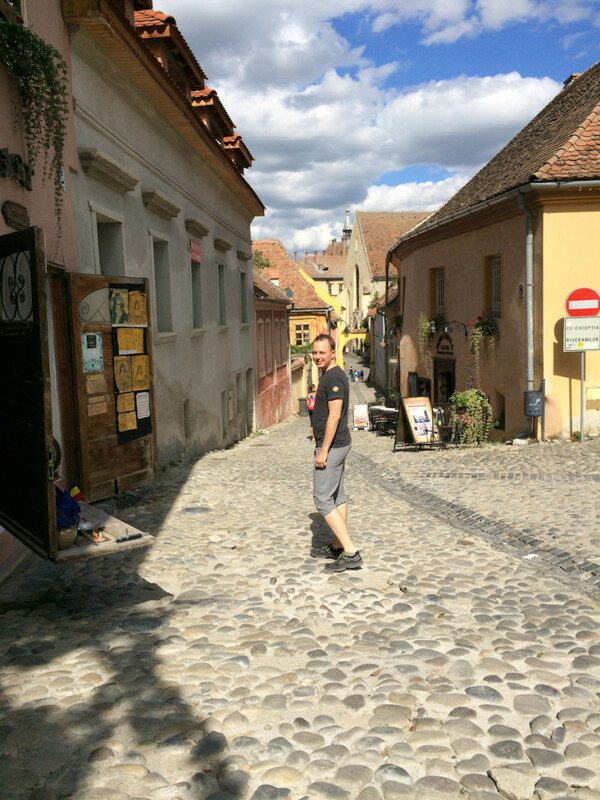 On the cobblestoned streets of Sighisoara. The small town had a potential for being a beautiful place, it was a very old German-built city, with pretty old houses, but it was left to decay and disorder. Very touristy, very expensive. Surprisingly the Chinese were not leading the touristic diversity poll, I do not think the word of this small town has reached to the vast lands of the Middle Kingdom just yet. The word did reach the Spanish Armada though. They were everywhere. The old, the colourful, the falling apart. Among the pretty houses we also found Dracula’s modest home, which is now of course a restaurant, and you could go check his room out. Not sure it was the real deal but we paid the entrance fee anyway to satisfy our curiosity. The doorman looked and acted like the Dracula himself, extremely impolite. As it should have been expected it was a very disappointing experience. Two rooms, one of them the fake Dracula lying in a coffin and casually chatting with tourists, in the other room his dining table. And that’s it. After an hour of walking around and getting our ears used to the intense flow of Spanish, we left Sighisoara with mixed feelings. The beauty and the beast of travelling. Here is a gem of a town, that would have provided such a charming experience had it not been overcrowded by visitors, and overcommercialized to cater to the same visitors with Dracula memorabilia, tourist trap of restaurants and pushy local business owners. Some more kilometers underway on the Romanian roads we reached another stop on our north-south axis. 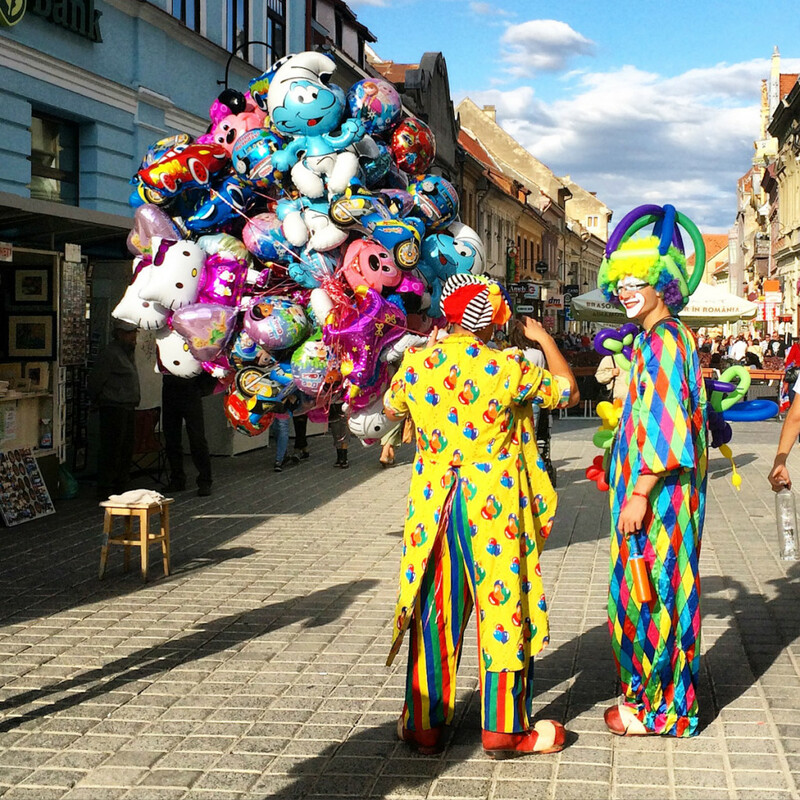 Brasov, a small cute town with surprisingly many clowns and balloons. 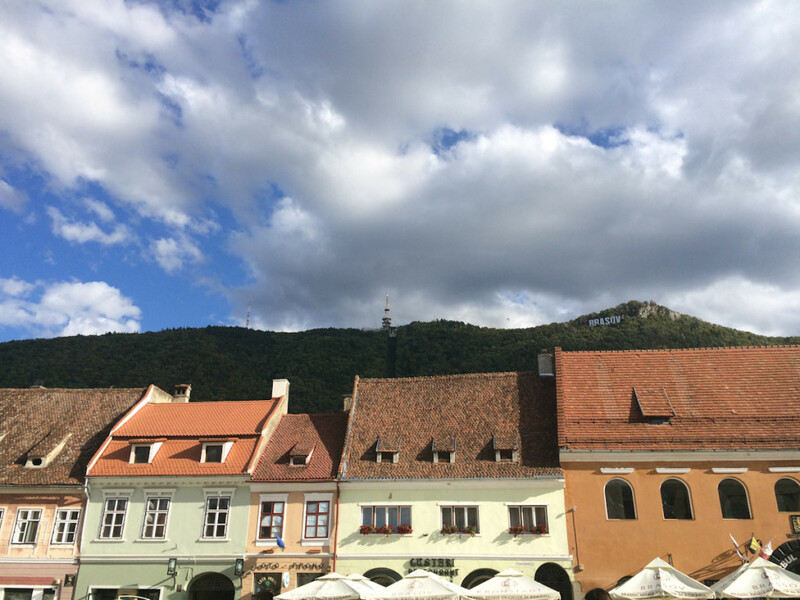 We have arrived in Brasov. 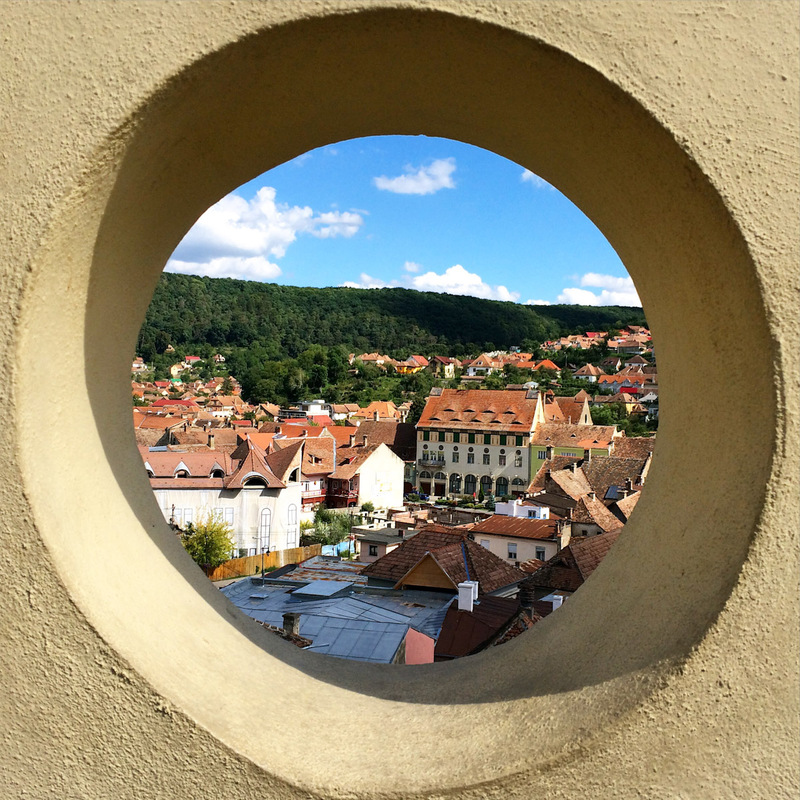 Brasov was pretty, with no trace of Spanish tourists and with a much more local feel to it. Some more kilometers underway and we arrived at Dracula’s castle in Bran to find it closed off and inaccessible even for pictures. The one below is the only glimpse we could get of it. Not a big deal. The hospitality of the security guard didn’t leave a very welcoming impression. 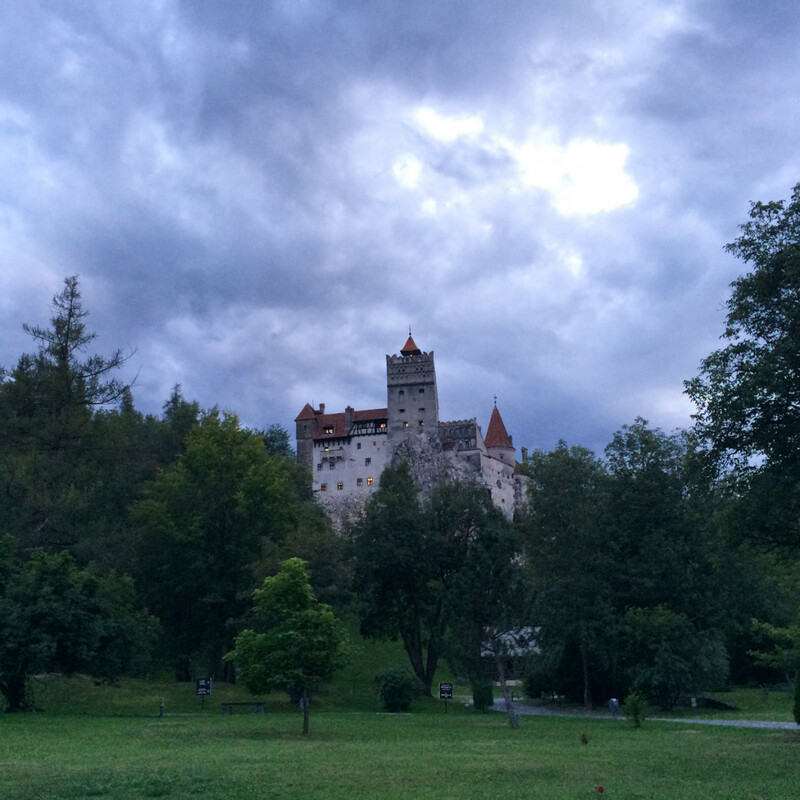 Leaving Bran, Dracula and the sour guard, we continued our trans-Romanian trip. In the approaching dusk we could still make out the beautiful scenery of Transylvania that we were leaving behind. Our last destination for the day was Mioveni. Here we were greeted by Luminita, the sweet mom of our friend Roxana, and her partner Marius. 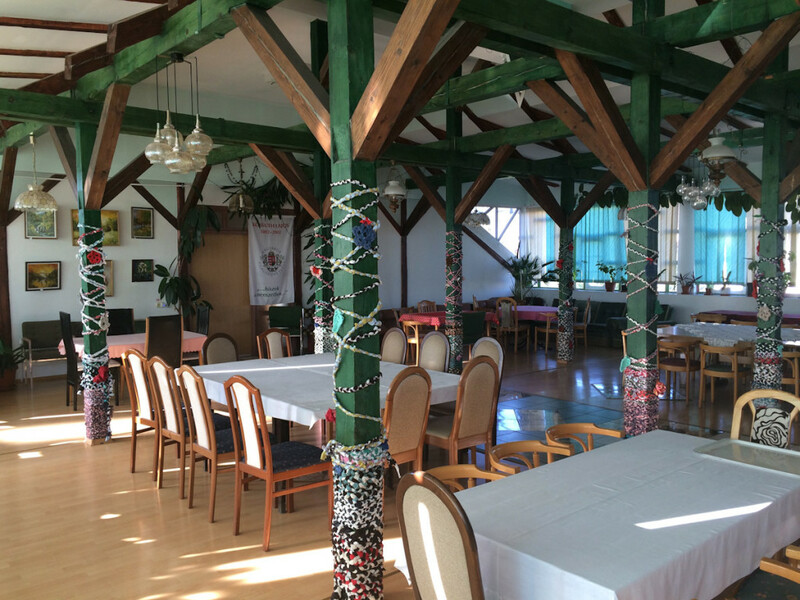 Within 10 minutes of our arrival, Luminita already set a table bursting with fresh fruits and vegetables. 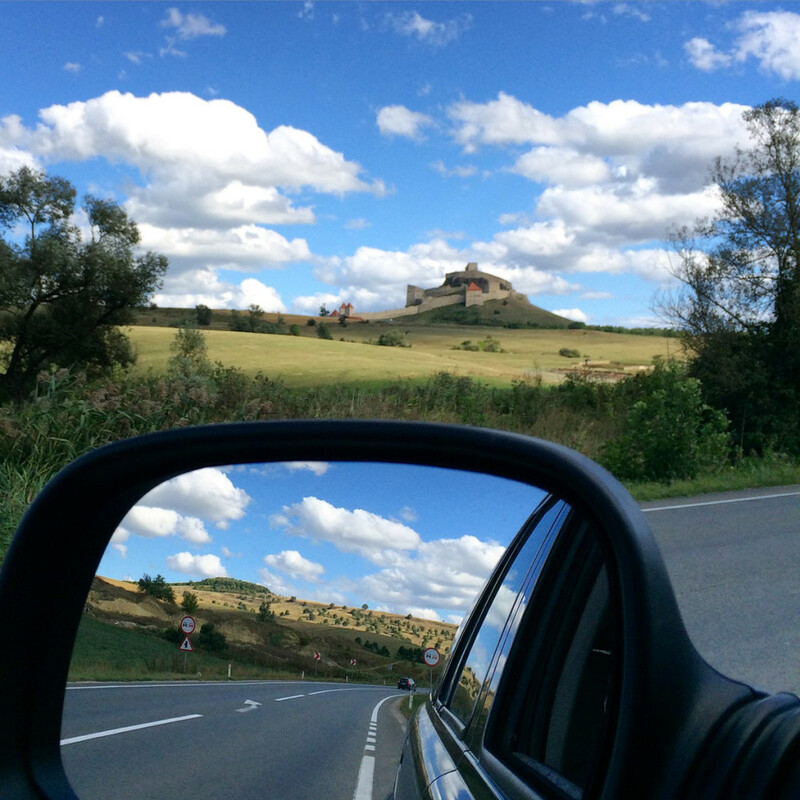 Marius got right on with showing us the good roads to drive on to reach Bucharest and the not to miss highlights. Their sweet hospitality reminded me of being back in my home, Armenia. Not too long now. We are coming, Armenia! 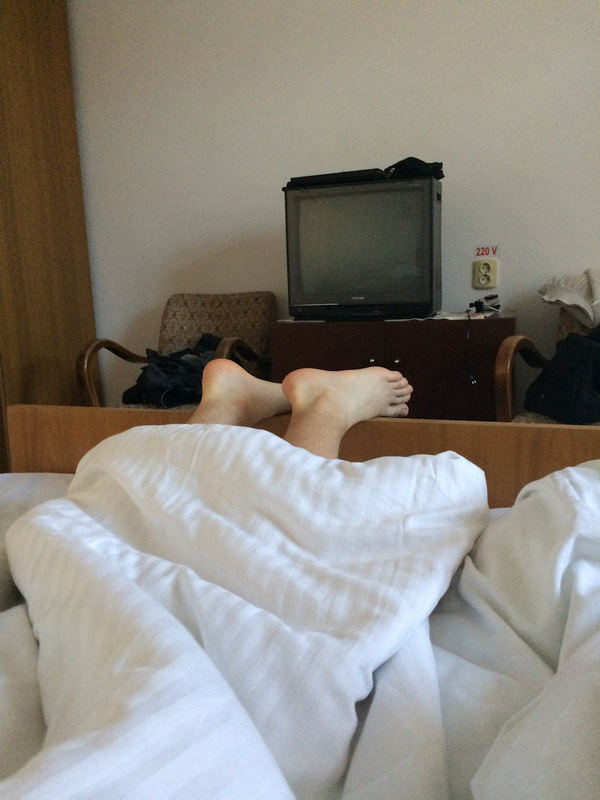 This entry was posted in AA on the road, Travel and tagged aaontheroad, adventure, Armenia, bran, brasov, denmark, depihayastan, dracula, eastern europe, pretty, roadtrip, romania, travel, UNESCO by Anulik. Bookmark the permalink.